My son loves mazes; in fact, he used to use those Kumon Maze books all. the. time!! He hasn't done them recently, but that is likely because they are tucked away in the closet. Nevertheless, he enjoys them and so I created two DIY Mazes to help reinforce some concepts that we have been working on lately. First choose the subject of your maze and then use that to make the path of the maze. Fill in the surrounding area with the 'wrong' answers and then invite your child to come work through your DIY maze! The first DIY maze I made was for Nouns. The maze focusing on Nouns could also be used to sort through other Parts of Speech. It was also a way to "sneak" in some reading practice! Big Brother tends to be resistant sometimes towards books, but reading single words doesn't phase him. The second one I made was to reinforce addition; specifically, math facts equaling 10. I feel like we have been spending a lot of time working on addition facts to 10, but it is important to me that he knows and memorizes these facts! I think memorizing them will help him immensely as we continue working towards higher math. 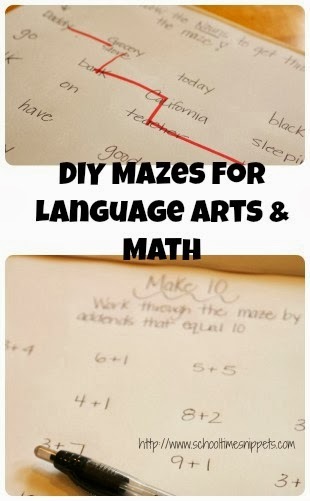 There are many other options to use a DIY maze with, perhaps reading, colors, numbers, etc. The mazes took literally 5-ish minutes to put together! 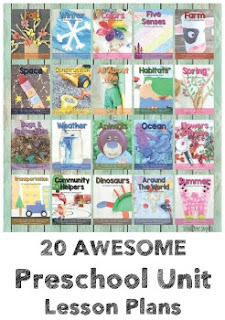 I love easy and simple learning activities!